Aliens have made first contact with Earth! 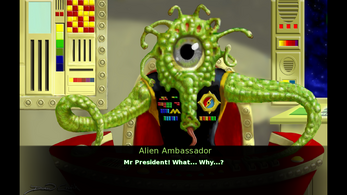 As Earth President, it is your task to carefully navigate the waters of intergalactic diplomacy! It will take, at most, five minutes.